After months of tweaking and trial-and-error experimentation (well-documented on their official site’s “Brewhouse Blog” section), Centerport-based nanobrewery Blind Bat Brewery has released Long Island Potato Stout, an extra-dry stout brewed with local organic potatoes. 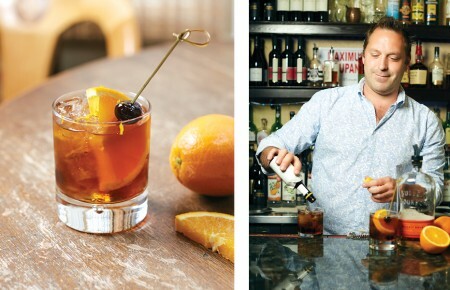 “I’ve been looking for ways to use local ingredients, and thought it would be fun to use potatoes — which add sugars that help get some dryness to this dry stout. I’ll be tackling an oyster stout using oysters from the Peconic Estuary a little later this year. 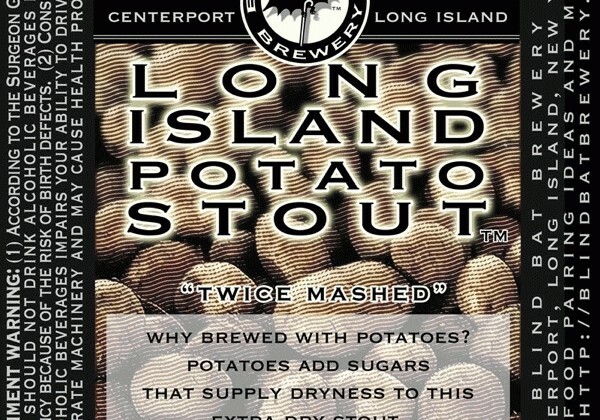 For the Long Island Potato Stout, 55 pounds of organic potatoes per 3-barrel (93-gallon) batch are peeled, boiled, mashed, and then added to the mash of grains, hence the “twice-mashed” on the label. I chose organic potatoes because, in addition to wanting to use a local ingredient, organic potatoes are better for the environment and anyone who eats them. Conventional farms use a lot of chemicals and pesticides when growing potatoes, and a potato will retain a lot of that not-so-good-for-you stuff. Blind Bat Brewery Long Island Potato Stout debuted at The Cortland’s New Year’s Event last Friday. 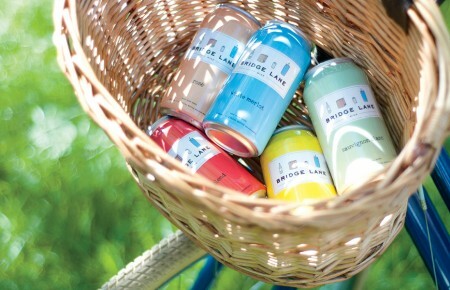 Bellport Cold Beer & Soda and Shoreline Beverage are “on board” for distribution in the near future as well, according to Dlugokencky. Expect bottles and kegs (the latter for growler stations and in bars) soon.